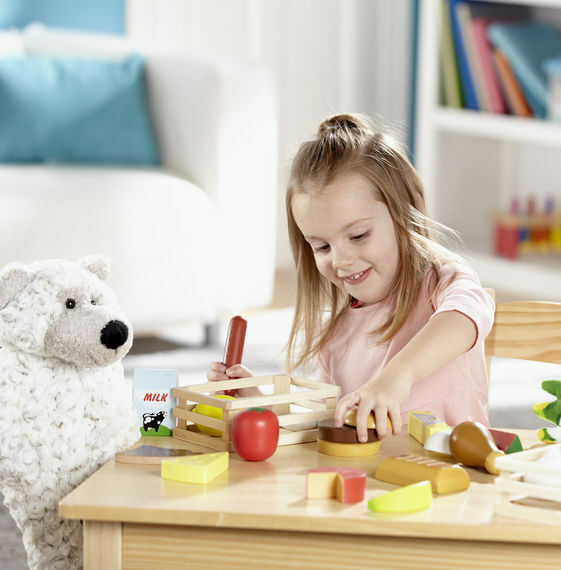 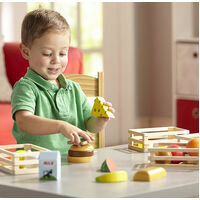 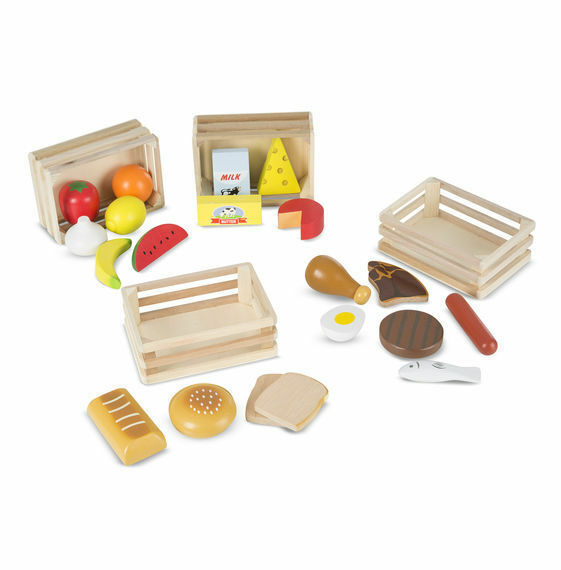 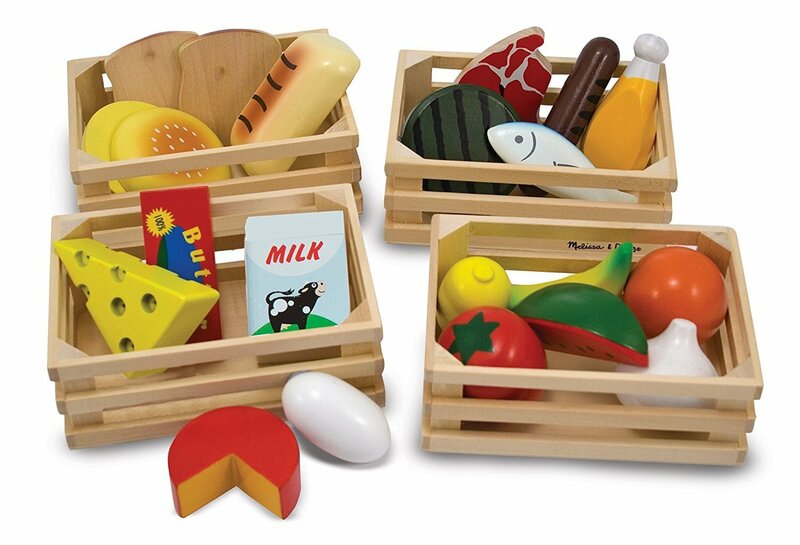 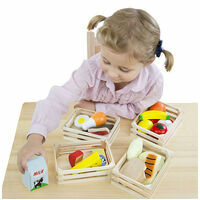 Planning a well-balanced meal is child's play with this wooden play food set. 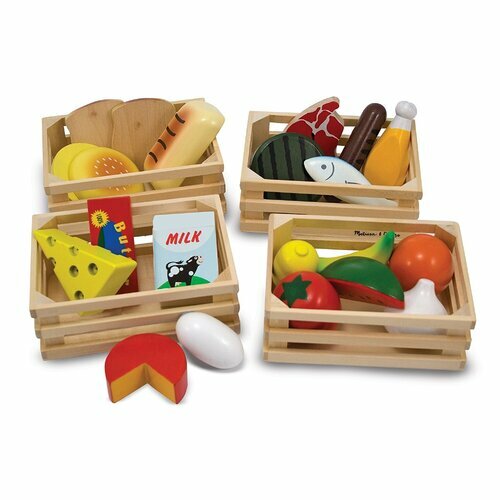 Items from the five food groups -- including watermelon, milk, cheese, fish, eggs, and much more -- are crafted of solid wood and come with four wooden baskets for sorting and storage. 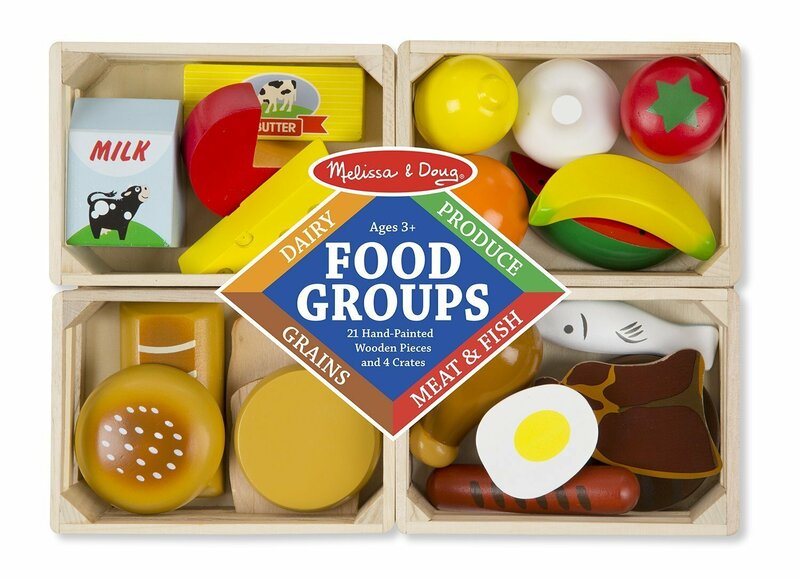 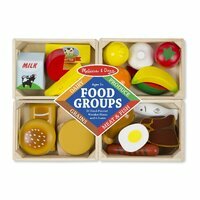 An excellent resource for role play, categorising, counting and learning about healthy nutrition and the food groups. 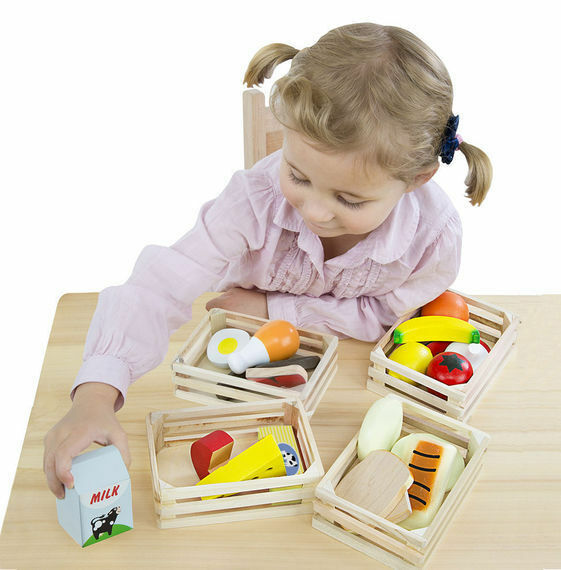 The wooden crates each measure 11 x 16 x 5.5 cm.